Anyone who has ever worked in the food industry has heard the saying that the customer is always right. Businesses are more or less forced to abide by it. The good news is that the creators of Breadcrumb POS by Upserve understand this. All of them are former managers, bartenders, and servers! They have created an easy-to-use and low-cost POS system. It has helped solve some of the major problems in the restaurant and hospitality industries. This system’s extensive features include table, customer and restaurant management and specialty ordering. In fact, Breadcrumb POS has most of the tools you’ll need to run a restaurant, bar, nightclub, or café. They have recently teamed up with GrubHub. Now, they offer online integration for ordering and delivery. Now that Breadcrumb POS has been acquired by Upserve, it boasts a strong restaurant management platform. It is easy to use irrespective of your location. 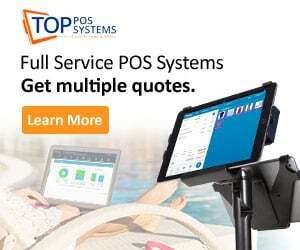 This POS system works only with the Apple iPad, making it a mobile optional POS solution. Servers can send and take orders directly from the table, as well as collect payments and provide digital checks. Call the company for a pricing quote. Don’t forget you can download the Breadcrumb POS for free on as many iPads as you want. However, you can only run it simultaneously on as many as your plan allows. Breadcrumb POS is cloud-based and fully mobile—the system works only on iPad. It will not work on traditional desktop computers. 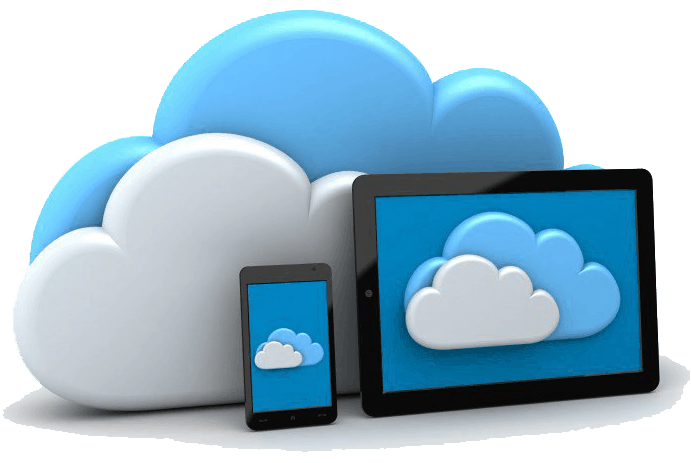 As with other cloud systems, you need a wireless network and a broadband internet connection if you want to access the entire system. On the plus side, Breadcrumb POS has Offline Mode. In this mode, you can keep operating (on a limited level) during internet outages. Breadcrumb POS can also encrypt and store credit card data within the iPad. This is until transactions can be processed after the wireless signal has been restored. Reporting and back office features can all be accessed remotely from any device with an Internet connection. This makes it possible for you to run your business from a separate location. Breadcrumb POS is very industry-specific, which may be a downside to some. It is best-suited for quick-service restaurants, cafes, drive-through, full-service restaurants, breweries, wineries, bars, lounges, and nightclubs. The POS supports many types of ordering. These include to-go (eating out), table (eating in), bar tabs, and delivery. One special feature is that it can accommodate all menu sizes. It doesn’t matter what size your dining selections are. Breadcrumb POS also enables you to manage and compare data from multiple restaurant locations. Breadcrumb POS operates on the Apple iPad 8.0 or later versions. 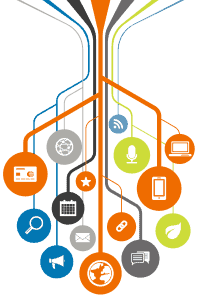 Back office reporting is accessible through any device with an Internet connection. Breadcrumb POS will work on an iPad Mini 2, an Air 2, or an iPad Pro. 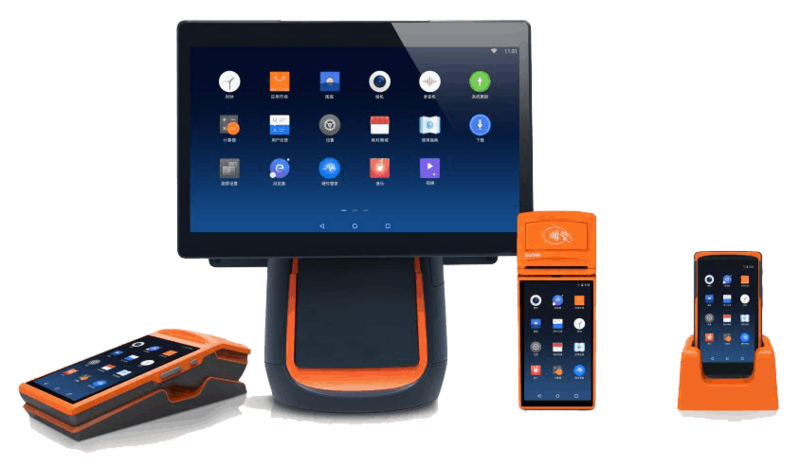 You can buy hardware directly from Breadcrumb’s website as well, including Epson and Citizen printer solutions and Meraki networking gear along with its own stand and Kitchen Display System. 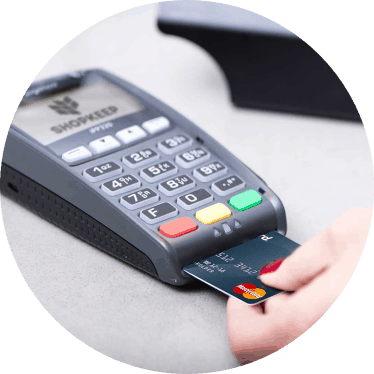 Breadcrumb POS also features a fully integrated EMV solution. You can operate the EMV reader on Bluetooth. It works great as an addition to your current card swiper and terminal. Breadcrumb offers the kind of design, customization, and mobility that enables business owners to focus on earning income without the distraction of a complicated POS. The Breadcrumb interface is pretty no-frills. It comes with the advantage of there not being a lot to distract the server or bartender. It is very easy to navigate the system. This makes training new employees a simple task that can be accomplished in just one day. The POS puts its touchscreen functionality to good use. One example of this is allowing servers to swipe items and tickets to individual tables and alter the table layout at the speed of light. This is a great option if they have been repositioned for larger groups. This POS is highly customizable, enabling you to create as many menu items as you want and group them according to drinks, salads, appetizers, entrees, and more. The groups appear as tabs on the right side of the screen for quick access. The system also allows you to make fast changes. This way popular items are easier to find. The mobility of the iPad makes tableside ordering child’s play. Your servers aren’t going to need scratch pads or hand tickets. They can edit items from the check by modifying or deleting elements, indicating seat position, making notes, and specifying quantity. Notes include VIP guests and allergies. They can even alter the prices of certain items right at the order screen after you’ve given them permission. Breadcrumb features all the functions you can imagine from the moment a guest is seated until he or she leaves. These include table management, order taking, seat positions, firing orders, adding modifiers, printing checks, and taking payments. Features include customization. All of the terminal functions can be customized according to your specifications at any time. The company will actually program your menu. They will help you set up your hardware and payment processor and train your employees. None of this will cost you extra. Breadcrumb’s representatives will also show you how to program your menu so that future updates you need to make on your own will not be a challenge. This is an area where Breadcrumb really stands out from the crowd. As we all know, the menu process can be painstaking and time-intensive even if a company is programming it. Whether you operate a big microbrewery, a tap room, a small local brew pub, a small corner diner or larger restaurant, there are many benefits to be obtained from Breadcrumb POS system. This system can be tailored to any industry, with integrated payments which can streamline operations. This way a pub or diner owner can focus on their high-quality drinks and dishes. Breadcrumb helps keep track of in-house sales and rentals. This is a reliable dining POS system equipped with easy-to-use payment processing. This makes it possible to automate tasks, organize your operations, and improve productivity. Needless to say, this saves a lot of time and money. This feature enables a pub or restaurant owner to send orders and receipts to as many printers as they want. These can go above and beyond bar printers, kitchen printers, and receipt printers. One can even set up terminals to communicate only with certain printers or all. Breadcrumb HQ is similar to a back office where reports are generated. With this function, you can adjust settings and create menus and items from any device with an Internet connection. You can customize access and permissions by employee role. This POS enables dining venues to fulfill ever-changing client requirements for quality, price, and delivery. Its quality control, centralized recipe management, and lot traceability are outstanding. It also has recall and TTB reporting functions. Another feature is inventory control. The production scheduling and planning are exceptionally useful. Live is probably the most convenient of all of Breadcrumb’s management features. It enables the user to access all of the reporting functions by downloading the Breadcrumb Live for the iPhone. You can check on sales and access data in real time from anywhere. It’s also a highly intuitive interface. This makes it quick and easy to monitor your business quickly from anywhere. For example, you could be in a poolside chair on vacation and still monitor. This feature makes it possible to number and organize tables. This is done by clicking and dragging them across your virtual floor plan. You can divide tables in your restaurant into different zones. This will make server assignments and restaurant management simpler. With color-coding, you can monitor occupied seats. The meal progression graphic indicates which course a table of guests is on. Breadcrumb POS comes in two modes: Server and Quickserve. In server mode, the server is brought into a table view with the menu arranged on tabbed category pages. Quickserve mode is designed for use by a bartender where speed to start and close a tab is crucial or for to-go ordering. Both modes include an item name search function. Online orders push checks for acceptance and review into the check details section. This feature offers reports on sales, labor, payments, voids, product mix, check details, comps, and pay in/pay out. The dashboard feature displays summaries of the most important figures in the report. Breadcrumb is included in Upserve’s Restaurant Management Platform, which is in turn included in Upserve HQ, offering owners and operators a more advanced analytics suite. The server analysis makes coaching employees much easier. This is achieved by breaking down their strong suits and indicating areas they might need help in. Stand out reports include the server analysis and the menu item retention “magic quadrant”. This report divides your menu into quadrants. These show how often an item is ordered. They also indicate its success rate in terms of drawing back customers. The menu and course management feature lets you create as many menu items as you want. You can also arrange them to your liking. It is possible to store item descriptions within the menu. This way your waiters can give guests accurate descriptions of meal ingredients and preparation. When a menu item runs out, you can cancel it. Then, servers and bartenders will know it’s not available. Customers won't be misled. This POS system offers an intuitive and very user-friendly online ordering interface. With it, customers can scroll through menu options and place orders for pick-up. All this will be possible without having to get additional hardware for the restaurant. This feature lets you track employee hours using the built-in time clock. You can keep your employees informed with the in-app bulletin board. This has proven to be quite a popular feature. You can assign roles, track cash and credit tips, and customize staff access parameters. Breadcrumb’s Kitchen Display System is a simple and highly effective communication system between the front and back end. It also organizes orders in the kitchen. It reduces errors and enhances the speed of ticket times. You can split, merge, transfer, and process an unlimited number of credit card payments on a single check. It is possible to void, discount or comp individual items or entire checks. You can provide either printed or emailed receipts, and set automatic gratuities (like for big groups of guests). Admittedly, this isn’t one of Breadcrumb POS’s biggest strengths. The system does have some basic inventory features. These include setting an item count to keep track of stock. The inventory feature also integrates with Breadcrumb POS’s “Shift Notes” feature to inform servers of any big changes to stock levels. Breadcrumb POS cannot track inventory at the ingredient level. You will have to integrate with an outside inventory management system. This will make more in-depth inventory features available. This system makes it possible to run checkout reports to balance your till at the end of shifts. Users can set times when the system will automatically reconcile your credit card machine with batches. Integrations can be purchased from the Upserve Marketplace. Breadcrumb POS integrations include, but are not limited to, the Shogo, KitchenSync, and RSI accounting programs. Other options include the analytic and management programs Avero, Venga, Compeat, Ctuit, Restaurant 365, and Peachworks. There are also a number of several inventory management solutions. A one-time license for Orca will cost you about $720. You can also get this for a monthly fee. BevSpot‘s price depends on your specific needs. It ranges from $150 to $350 per month. You will need to contact BevSpot for a quote. The add-on Bevager offers several pricing points - $99 per month for the Standard plan, $ 149.99 for the Premium plan, and $199.99 a month for the Pro plan. BeerSAVER also needs to be contacted for a pricing quote. Customers with less than twelve taps can expect to pay at least $2,000 and $160 per month, while customers with sixteen taps can expect to pay $2,500 and $180 per month. The Time Clock and Scheduling integration is with Dolce, Homebase, 7shifts, or Better Chains. Online ordering and delivery is with GrubHub. Gift cards are with The Customer Connection. The credit card processor rates and fees vary from provider to provider. Breadcrumb works with six different processors, all of which are highly ranked. They are First Data, TSYS, Heartland Payment Systems, Chase Paymentech, and Global Payments. The sixth is Upserve Payments. They are Breadcrumb’s in-house credit card solution of choice. This fully functional, mobile point of sale system generally has a lot of mixed reviews. We compiled a vast number of reviews from all major websites. They were looked at to figure out what Breadcrumb POS customers think about the company and why. Overall, Breadcrumb POS manages to satisfy its clients. They point the ease of use out as a great advantage. They report that the customer service team is friendly and professional. Pricing is considered a weak point by and large. It is ranked as only “fair” by the vast majority of users. 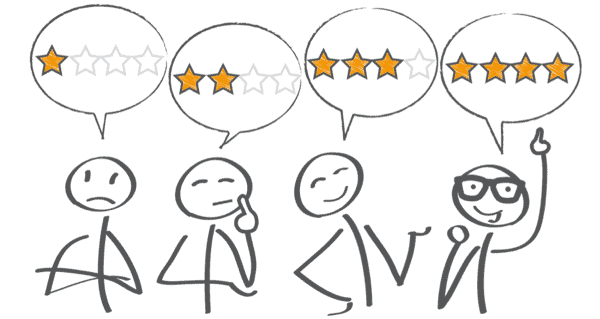 Most positive reviewers liked the fact that they were able to process orders offline. This was a highly convenient feature for them at times of Internet outage. Users are also happy with how easy Breadcrumb POS is to teach. The system is not without its downsides. 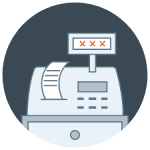 Breadcrumb POS is reported to be prone to errors and glitches. Service signal is always intermittent, making the system go offline too often. Below, we’ve listed a typical positive and a typical negative review. This might help you figure out if this system would work for you. Breadcrumb POS doesn’t charge a fee for their support plans. In fact, many of the support services are available online. They can be accessed via a community forum, training videos, and a searchable support database. 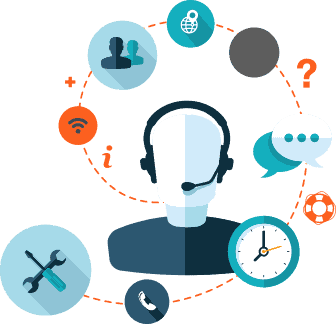 You can access individualized phone support from a Breadcrumb POS representative. This is possible through a technical support line or email questions to support@breadcrumbpos.com. Every client is assigned an account manager. This is done to help make sure they are getting the most out of the POS system. Users can also track and subscribe to Breadcrumb POS’s service status page. In addition, the company has a blog. Its Facebook, Twitter, and LinkedIn accounts are updated on a regular basis. Breadcrumb POS was acquired by Groupon for a brief period of time. This led its customer service reputation to deteriorate. It is slowly recovering. Some users still complain about a slow response time. We find the support team to be on par with most other major point of sale providers. They are quite helpful and knowledgeable. There have not been many comments online regarding Breadcrumb POS of late. Neither positive nor negative. We find this is a good thing, at least for a POS system. Older negative reviews are mostly related to pricing, outages and downtime. Some users have complained of outages and system downtime during peak hours. There has been some frustration by several mandatory updates. These were made during peak business hours and caused downtime. Additionally, some users find Breadcrumb POS to be overpriced. They feel other systems offer a better price to performance ratio. Breadcrumb received a lot of bad customer reviews prior to its acquisition by Upserve. These still dominate the message boards and review comment sections. Please remember they are not recent. The company makes great effort to improve its reporting feature. The good news - this effort is not in vain. It has been offering excellent insights, reporting, and analytics. This is particularly true since it was integrated into the Upserve Restaurant Management Platform. Customers who adopted the platform are noticing the improvements compared to the system’s earlier days. Finally, customers seem to be satisfied with the changes Upserve has made to their customer service. Breadcrumb POS was designed by former servers and restaurant owners. It has several features that make it a steadily improving success. It has found a reliable partner in Upserve. Upserve has provided it with the tools it needs to become an even better-performing POS system. It is relatively easy to use the highly customizable interface and intuitive design. It is also simple to take orders, create a menu, keep staff updated and arrange a floor plan. Upserve Live and Upserve HQ make it easy to manage the back office. You can view reports and monitor sales from anywhere with an Internet connection. Of course, Breadcrumb POS is not without its disadvantages. We encourage you to try the demo version and see for yourself if it works for your and your business. If you’re happy with it, the integration aspect won’t a major problem.This is especially true considering that larger restaurants will need to spend extra money on if they want inventory integration. This will probably be necessary for your operation. Users still claim to have occasional downtime during peak hours, which is obviously an issue. That aside, Breadcrumb POS is generally a great system. If you’re looking to equip your restaurant with a POS system or replace your current one, we encourage you to try Breadcrumb POS out.